with hosts Vicki Tillman, Sabrina Justison and Kym Smythe. 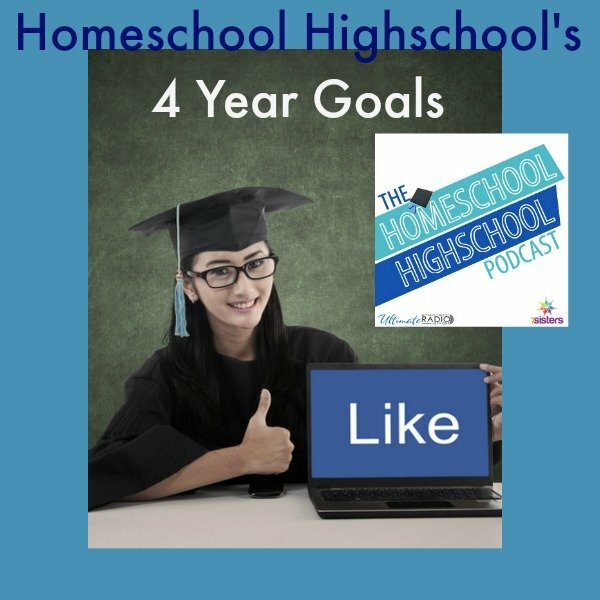 HSHSP Ep 157: What Makes 7SistersHomeschool’s Curriculum so Awesome? How can you choose a best-fit curriculum for each of your teens? There are so many great homeschool publishers these days! 7Sisters curriculum is a great choice for many reasons. It is vetted by homeschool high schoolers, for one. Join Sabrina, Vicki and Kym for lots of reasons to consider etextbooks from us! Join Vicki and our buddy, Misty Bailey, for a you-can-do-it discussion on why and how you can have confidence to homeschool high school! Vicki and Paul discuss coding for teens and ways to develop those skills into an employable portfolio that doesn’t require a college degree! Join us! Teens need to be empowered with the soft/social skills that will help them avoid cliques and create an environment where everyone is welcome. Join Kym and Vicki for a powerful how-to discussion. Help homeschool high schoolers explore their interests and passions for a great education. Join Vicki and Cindy West for an inspirational and informative how-to discussion. Movies can be a enjoyable, entertaining and important part of your homeschool high schoolers’ Language Arts credits. Join Sabrina and Vicki for a lively discussion of the part cinema can play in education. Intimidated by writing research papers? Join Vicki and our friend, Kat Patrick as they share tips for helping homeschool high schoolers develop skills for research paper writing. Homeschool high schoolers need to be prepared for adulting their finances. They have so many more things to consider than many of us did when we were teens. Give them solid life-preparation skills for financial management. Join Sabrina, Vicki, Kym and Eagle, the Seeing Eye Puppy for a helpful discussion. Ever feel overwhelmed, confused or just unsure about how to handle the next steps in your family’s homeschooling adventures? That’s what homeschool coaching is about. Join Vicki and her friend, Vicki Bentley (from HSLDA) for a discussion of homeschool coaching (and the history of homeschooling). Plan for success in dealing with challenging friends and family members at Christmas get-togethers. Join Sabrina, Vicki, Kym and Eagle, the Seeing Eye Puppy for a comfortable discussion about handling uncomfortable situations. Homeschool high schoolers can do some amazing things; and they don’t need to wait until they graduate. 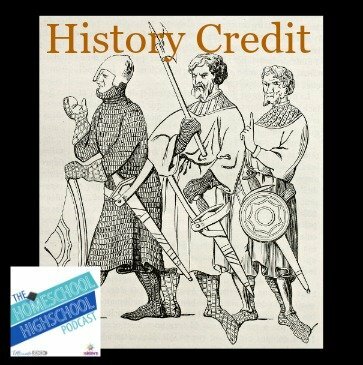 Join us for a delightful interview with Noah Tetzner, of the popular History of Vikings Podcast! Join Sabrina, Kym, and Kym’s daugher, Kendall, for a homeschool graduate’s perspective on what makes for a successful college experience. Homeschool high school graduate do great with Kendalls tips! Vicki is a mental health counselor, besides being a 7Sister and HSHSP podcaster. She discusses depression in homeschool high schoolers, what it looks like and what to do about it. Join Sabrina, Kym and Marilyn for a fun and very helpful discussion of an organization that has many different names: umbrella school, hybrid school, university-model school, charter school. All teens and moms will experience stress and anxiety at some point. Join Vicki with fellow counselor, Marianna Chambers (Peaceful Mom Talk Podcast) for practical tips on helping teens manage their stress and anxiety. Helicopter moms, snowplow moms…heavy equipment moms. Are you one? Do you know one? Do your *friend* a favor and tell them about this fun but helpful episode. You get a better recommendation letter if you follow simple politeness guidelines. Vicki has written hundreds of recommendation letters, so she is sharing tips for getting best results. Join Sabrina, Vicki and Kym for a fun (and useful) bunch of ideas for when you’re stuck with a bad-fit curriculum! Don’t despair! There is hope! Join Kym for an interview with her youngest daughter, Carly. Carly is a homeschool graduate and college athlete so she has lots of tips for success in college. Feeling the crunch of big deadlines? Having too much stress? Join Sabrina, Vicki and Kym for some silly fun and meaningful tips. Don’t loose the richness of homeschooling just because your kids are teens! Join Sabrina and Kym for how and where to get your teens involved in experiential learning. HSHSP Ep 129: Creationist and Scientist? Can a Christian be both a scientist and creationist? We think so! Join us for a fascienating interview with a homeschool mom and her homeschool graduate daughter, both are PhD scientists and creationists. Plan early in the fall for a great holiday season. That is, homeschool planning and meaningful holiday activities. Here’s how with Sabrina and Kym. There are so many kinds of families who homeschool. It is good to hear about our diverse experiences. Join Vick and our friend, Latonya Moore, for a candid and encouraging discussion of her homeschooling family. If you have grandparents nearby or not, you’ll finds tips and encouragement in this interview with Dr. Gerald and Betty Culley (parents of 7Sisters Sabrina and Allison). Homeschool co-ops are the best! Lunchtime at co-op can be the best…or the worst. Here are tips from Sabrina and Vicki on how to make homeschool lunchtime great again! Can a homeschooler become a public school teacher? What led her to that career of service? What can she share with us about homeschooling high school? Join this encouraging interview with Sabrina and her daughter, Bekah. How do you handle scheduling for homeschool high school? There are lots of academics and real life! Join Sabrina and Vicki for encouragement and helpful tips. Dr. Sarah Varnell is a University of California vet school graduate and works as anequine vet in Cincinnati. How did she do it? Join Vicki and Sarah for this informative interview. 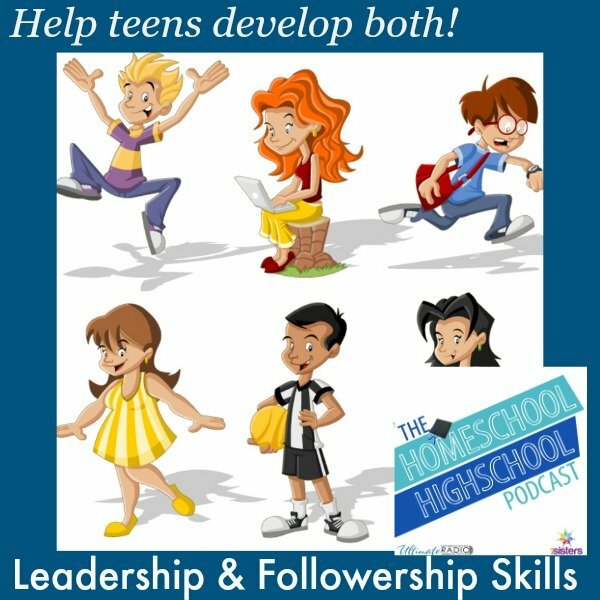 HSHSP Ep 121: Why is Junior Year SO Important for Homeschool High School? Junior year is a pivotal year for teens, whether they are college bound or career bound, they need to invest well in their 11th grade year. Join Sabrina, Vick and Kym for a fun explanation why. 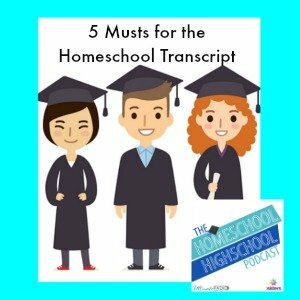 HSHSP Ep 120: How to Create the PERFECT Homeschool Transcript! While there’s not ONE right way to create a transcript, here are some tips for making your transcript fit your teens’ needs and goals. Join Vicki and Latonya Moore as they discuss homeschooling middle school and goals for high school.! Ever get tired of the question? It will never go away but you can have some intelligent answers. Join Sabrina, Vicki and Kym for a fun discussion and tips. 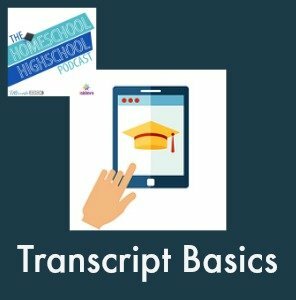 HSHSP Ep 117: How to Create a Great Transcript Using Levels With 7Sisters Curriculum? Now that you learned about Levels in Ep 116, here are some specific examples on how to apply Leveling to 7Sisters curriculum. Join Sabrina, Vicki and Kym for a fun discussion. Want to know the secrets of a college-attractive transcript? Then you need to know about *levels*. Levels show how much academic rigor a student has experienced in each core course. Join Sabrina, Vicki and Kym for a simple explanation of how it works. Language Arts is a time-consuming and important credit for homeschool highschoolers. Join Sabrina and Kym for a helpful discussion on how to plan well so that the things your teens need are covered. How can a homeschool mom teach something she doesn’t know? There are lots of ways! Sabrina and Kym will share them with you. Join Vicki for 10 practical tips to help teens with their job hunting. The job search process is scary to some teens, having never been on that adventure before. Give them a hand-up with these simple tips. We work hard to plan well, that’s good! Then it is difficult when unexpected interrruptions and changes happen. Sabrina and Kym give some helpful tips on recalibrating. It can be scary raising a teen in this day and age. One of the tasks for a healthy teen is to learn to be an influencer rather than simply being influenced, to help build surroundings rather than just be surrounded. This requires parents to be pray-ers who offer their fear to God and help empower teens for this phase of life. Join Sabrina, Kym and a very vocal Quella, the Seeing Eye puppy for an encouraging discussion. 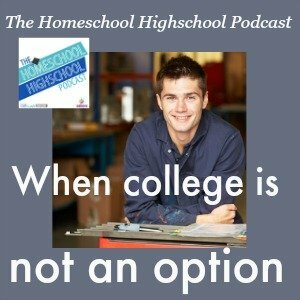 Episode 110: What’s it Like to be a Homeschool Senior? There’s not ONE right way to be a homeschool senior. That’s why it is so fun to hear from different soon-to-be graduates about their experiences and plans. Join Sabrina and Kym for an encouraging interview with soon-to-be grad, Gabriella Eltringham. Homeschool co-ops can be marvelous or maddening. The difference often lands in the planning process. Here are tips for creating a homeschool co-op your teens (and you) will enjoy. Join Vicki for an interview with her friend, Angela, whose sons chose careers that did not require college. Both young men are experiencing successful careers and lifestyles. Here are some of her tips. 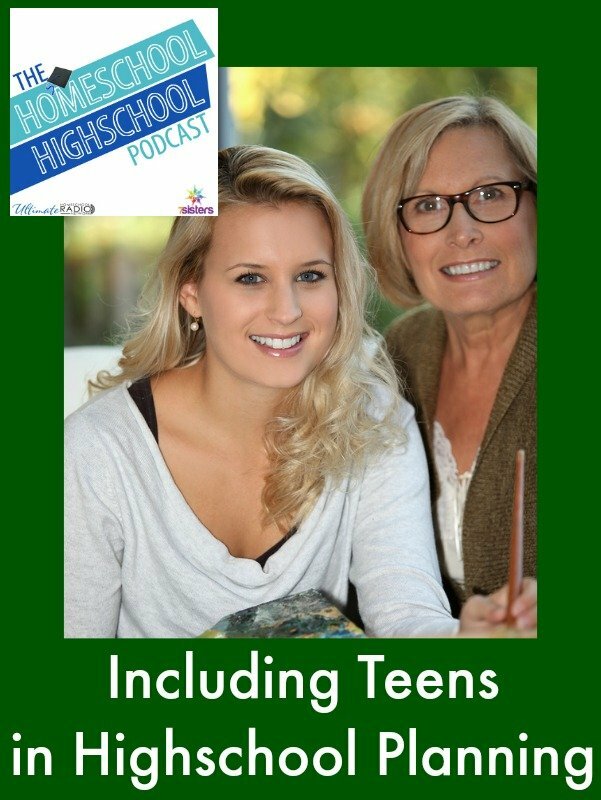 Join Sabrina and Kym for a delightful interview with Jake Johnson, homeschool senior who is headed for college at Harvard, and his mother. They explain the journey of earning a spot on the Harvard Swim Team and give tips for parents of serious homeschool athletes. Community college is a great choice for many homeschool highschool graduates these days. They save money, gain resume and networking skills, have more time to fine tune their goals…and more! Join Vicki for an interview with her youngest son, Seth, who graduated from community college and is now studying at a state university. Homeschool moms become resource managers for their high schoolers. This is good! It helps them develop independence. One resource includes the many options in the digital world. How many have you tried with your homeschool high schoolers? Episode 104: Teaching Shakespeare and loving it! Join us and our friend, Kat Patrick (a Shakespeare expert) for tips on teaching Shakespeare in a meaningful and engaging way to your teens- even if you have NO Shakespeare background! Every teen needs Science credits on the homeschool transcript, but not every teen needs high-powered credits. If your teen is not headed for college, or plans to attend a community college, you may be able to ease off some of the high-powered curriculum. Here are some tips. Got a teen interested in a military career? How do you help him/her prepare? Join Vicki and her homeschool mom-friend and colleague, Gretchen Mahoney, for tips and her story. Homeschool high schoolers need World Language credits for graduation. But what if you don’t know one? Join Kym and Vicki for encouraging and practical tips and resources. What happens AFTER homeschool graduation to homeschool graduates? To celebrate episode 100, homeschool alumni from around the country sent in voicemails of interesting things they are doing. Join us for a fun celebration! Homeschool highschoolers have a habit of growing up on us. It is so strange to relate to adult children! Join Sabrina, Vicki and Kym for some *real* talk about being real. What are some practical ways to assign meaningful grades for the homeschool transcript? Join Sabrina, Vicki and Kym for some useful tips. Teens are at the perfect age to come up with tough questions, challenging topics to discuss, existential crises and more. Join Sabrina, Vicki and Kym for a gracious conversation about talking to teens about tough stuff. Not all teens go to college. If your homeschool high schooler will be entering the workforce after graduation, what do you need to make sure happens during senior year? Join Sabrina, Vicki and Kym for a helpful discussion. high schooler stay on top of things? Join Sabrina, Vicki and Kym for month-by-month priorities. Episode 94: Choosing College Degrees, Interview with Dr. Renae DuncanShould your teen work toward an: AA, BA, BS, BN, BFA, or what? Join us for an interview with Dr. Renae Duncan, Associate Provost of Undergraduate Studies at Murray State University. She is an expert in helping teens find the right fit for their college choice! Homeschool parents are known for starting whatever organizations their families may need. But the process can be intimidating! Here’s good news: Carol Topp, the Homeschool CPA (fellow podcaster on the Ultimate Homeschool Radio Network) is an expert and can help! Join Vicki and Carol for a rewarding interview. Episode 92: Helping Literal Thinkers with Literature Analysis. Literature can be a pain for some teens. Here’s how to help the literal thinkers with Literature! Join Sabrina, Vicki and Kym for fun and practical tips! Every mom has a bad day, sometime. Every mom fails at something, sometime. Here’s how to handle real-life mom-fails. 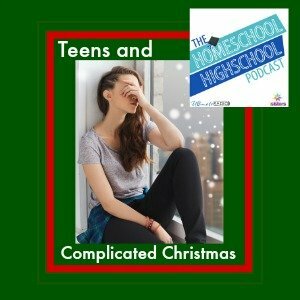 What should Christmas break look like in homeschool highschool? How do you balance getting school work done and time to relax. So many hassles! Join Sabrina, Vicki and Kym for lots of ideas. 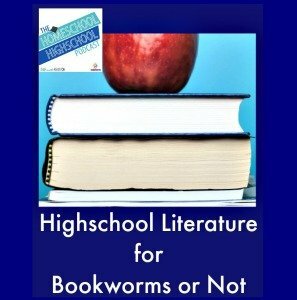 Join Sabrina, Vicki and Kym for a novel way to look at highschool literature: without novels! Lots of ideas for adding interest to the language arts credits. Connie Stults of TheDaisyhead.com shares her journey through cancer then the loss of her husband and the many ways people have helped her and her family. Learn ways to manage grief and help those who are grieving. Many homeschool moms are also working for pay. How do working moms survive trying to balance everything? Join our friend, Stacey Lane, for expert and fun tips! Thankfulness is not only Scriptural, it is good for you. Join Sabrina, Vicki and Kym for sensible and fun (and research-driven) ways to live and model gratitude for your teens. Somewhere in life you and your teens will run into a *mean-mom*, someone so broken that they take it out on others. Here’s a great interview with Dr. Melanie Wilson of Homeschool Sanity podcast about handling difficult people. All moms need friends. Homeschooling highschool provides some unique possibilities for finding mom-friends. Join Sabrina and Kym for a fun discussion on friendship for homeschool mom. What do you and your teens need to know about college prep, search and application? Join Sabrina, Vicki, Kym and Quella the seeing eye puppy for truly useful insider tips. Your teens need writing in order to earn their Language Arts credits. Upperclassmen need useful writing skills that will prepare them for adulthood. Join Sabrina, Vicki, Kym and Quella the seeing eye puppy for useful information on a useful topic! 7Sister’s Kym said we should call this the “nag-prevention” episode…and she’s right. How can we moms and teens continue to enhance our character-building and communication skills? Join Sabrina, Vicki and Kym for this fun episode. Do you hate math? Not very good at it? Just plain intimidated? Don’t worry! Join us for a delightful interview with Dennis DeNoia of Mr. D Math Podcast for tips and encouragement. If you’re a dog-loving family, raising service dogs is a great way to help your teens build character and have a rich service component on their homeschool transcript. Listen in for this great discussion on a great service project. 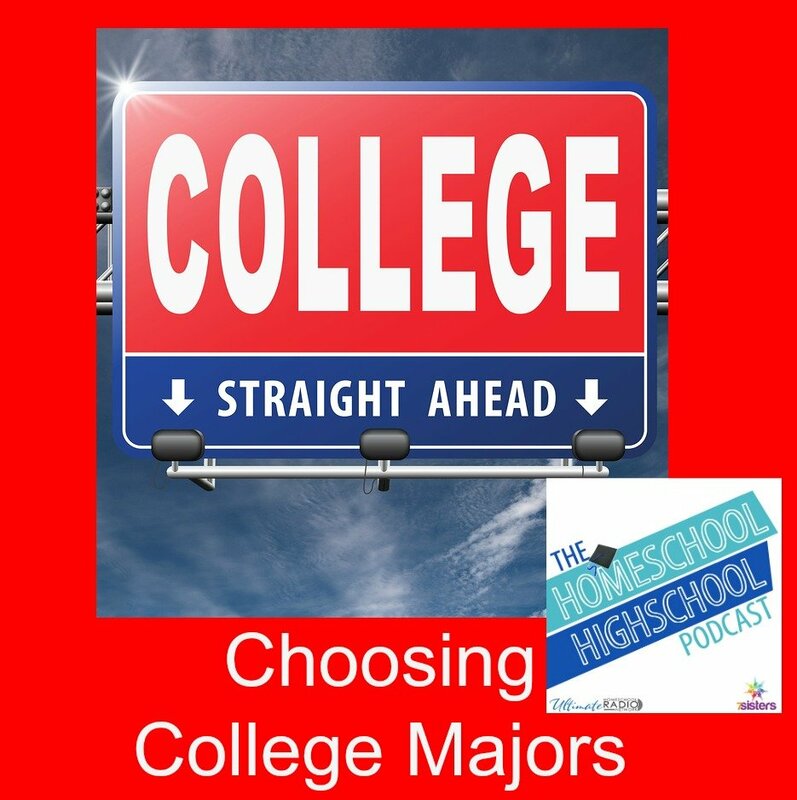 Episode 78: What are Colleges Looking for? Want some insider tips for your homeschool highschoolers about what colleges are looking for? How about important study skills to develop for college? How about college search tips? Join us for all this and more in an important interview with Dr. Renae Duncan, Associate Provost at Murray State University. Episode 77: Apologetics: Important Life Prep! Teens need to think about and wrestle with their faith. This can be an uncomfortable time for homeschool teens and parents. A friendly Apologetics course can help. Join Sabrina and her father, Dr. Gerald R. Culley for an impactful and heartwarming episode. Whether your teens are spending all of highschool homeschooling or they are transferring from public school, you will get lots of fun and helpful information from this episode. Join Vicki, Marilyn and their friend, Dr. Barbara Varnell for insider tips on transcripts! Episode 75: Fine Arts Give the Transcript SPARKLE! Join us for an interview with University of Delaware’s Choral Music Education professor, Dr. Duane Cottrell. Sabrina and Dr. Cottrell discuss the ways Fine Arts enhance the transcript and ways to get into college if you want to be a music major. Know anyone who is bringing their teen home from traditional school in order to homeschool highschool? Share this episode with them! We’ll give you the nuts and bolts of how to homeschool highschool! It can be intimidating to bring teens home from traditional schools for homeschool highschool. Don’t worry! Sabrina, Marilyn and Kym have lots of encouragement and tips for you. Newbie moms, we’ve got lots of fun and practical tips for you as you start homeschooling highschool. Join Sabrina, Vicki and Kym for a delightful episode! 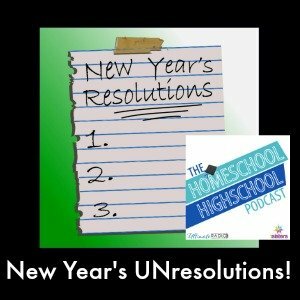 Episode 71: For Newbie Highschool Moms: You CAN Do It! Newbie homeschool highschool moms often feel stressed about beginning the high school years. Don’t worry! We’re here to help. Join Sabrina, Vicki and Kym for some solid advice. Episode 70: What Happens When the Last Kid Graduates? It happens. The youngest homeschooler graduates high school and heads off to college and/or career. What happens to those “Omega Moms” (last-kid-graduated moms). Join the entire 7SistersHomeschool.com team to find out! There are LOTS of details to consider if you want to start a co-op with teens. Don’t worry, we’ll help you out with this useful checklist and advice. Join Sabrina, Vicki and Marilyn for encouraging tips and help in starting a homeschool highschool co-op. Teens often benefit from experiencing a variety of educational settings. Join Sabrina, Vicki and Marilyn for a lighthearted and practical discussion on the why’s and how’s of homeschool highschool co-oping. Got teens who don’t like science? Join Sabrina, Vicki and Marilyn for a fun and helpful discussion of ways they have covered the required science labs with teens who hate science. When our oldest kids were in middle school, we felt pretty intimidated by the thought of high school! Then we found out that high school years are the best years yet! Join Sabrina and Marilyn for tips for helping your homeschool middle schoolers prepare for high school. Join us for a delightful conversation with our friend, Kat Patrick. Kat lived for 25 years and homeschooled her kids into highschool. THEN she moved to Texas! What are the differences between homeschooling in UK and US? Episode 64: Grammar- Gotta Have It! Whether they are college bound or not, homeschool highschoolers need to keep sharp on their grammar skills. It is easy in these days of bullet-point posts and texting to loose clear writing skills. Join Sabrina, Vicki and Marilyn for amusing and workable tips! Episode 63: Short Story Writing- Fun! Teens need some fun after all those essays and research papers! Here are the how’s and why’s of short story writing for homeschool highschoolers. Don’t let them miss out on the important creativity and grammar skills needed for good short stories. Join Sabrina, Vicki and Marilyn for fun and useful tips! 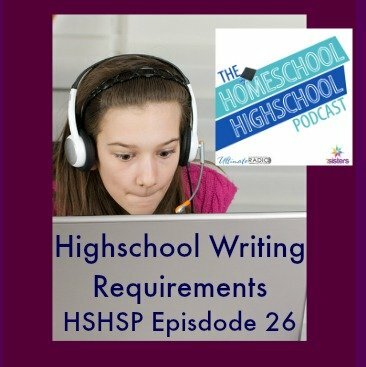 Episode 62: Poetry Writing: Your Teen CAN Do It! Teens often feel intimidated by the thought of writing poetry! We’re here to tell you and them: You CAN do it…and you SHOULD! Here are how’s and why’s! Join Sabrina, Vicki and Marilyn for fun and practical helps on writing poetry! Your teens can do it! AND they can write research papers successfully. Join Sabrina, Vicki and Marilyn for lots of practical how-to’s! Episode 60: Essay Writing: What, When, How! Don’t despair about writing essays! Your homeschool highschooler must write essays each year but it can be rewarding and fun. Join Sabrina, Vicki and Marilyn for encouraging and practical tips to help! Many teens feel stark terror when they find out that colleges really want homeschool highschoolers to have public speaking experience! Tell them not to fear- we’ve got help. Join Sabrina and Marilyn as they interview our friend, Dr. Barbara Varnell on LOTS of ways to have fun with public speaking! Crisis times are dramatic for teenagers. Like anyone they might become sad or anxious. They often will question, become irritable or isolate. How do you help them? Join Sabrina and Vicki for a candid, heartfelt conversation about helping teens in crisis times. 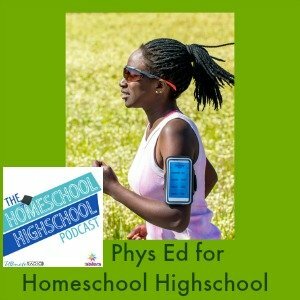 Phys Ed for Homeschool Highschoolers. How to earn phys ed credit for teens who love exercise and those who don’t! Join Sabrina, Vicki and Marilyn for a fun, fact-filled, useful chat about homeschool high school phys ed credits. 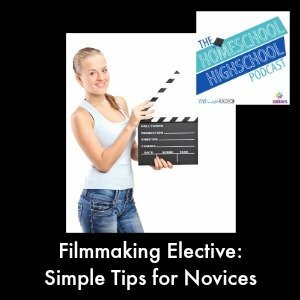 How to create a fun, fabulous filmmaking credit with your homeschool highschoolers. So much fun! So much sparkle for the homeschool transcript! Join Sabrina and her independent filmmaker son, Sam, for lots of tips that even novices can do! Episode 55: What is a Master Portfolio? What is a master portfolio? Why should you create one for your homeschool highschooler? It is a great investment! Join Sabrina, Vicki and Kym while they share what’s and how-to’s! 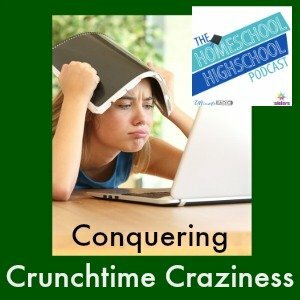 Episode 54: Conquering Crunchtime Craziness! Know any teens who put everything off until the last moment, then anxiety, tears, complaining and/or sloppy work? (Know any moms who do the same thing?) No worries! Join Sabrina, Vicki and Kym for some great tips on conquering crunchtime craziness! 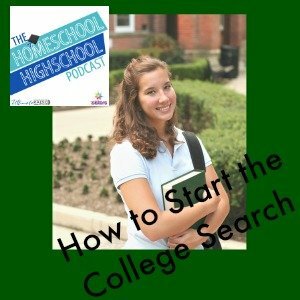 How on earth do you start the college search with your homeschool highschooler? It is so important to make a wise choice about college. Join Sabrina, Vicki and Kym for a fun and helpful discussion about starting the college search. Episode 52: Teens Who Love Everything! Some teens aren’t clueless about what they love. They love everything! How do you help a teen who loves everything through Career Exploration and narrowing their choices for the future? Join Sabrina, Vicki and Kym for some expert advice! What do you do for Career Exploration when your teens don’t have a clue about what they want to do? Join veteran career guiders Sabrina, Vicki and Kym for a truly fun and helpful chat about clueless teens and future careers. 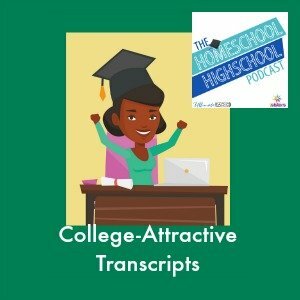 How can you help your homeschool highschoolers develop college-attractive transcripts? Join Sabrina, Vicki and Kym for a fun and useful discussion on ALL the things you need on the homeschool transcript. Choosing college majors is a wonderful and stressful process. How do you help your teens through this all-important process? Join Sabrina, Vicki and Kym for the tips and ideas they have use to help homeschoolers find their future. 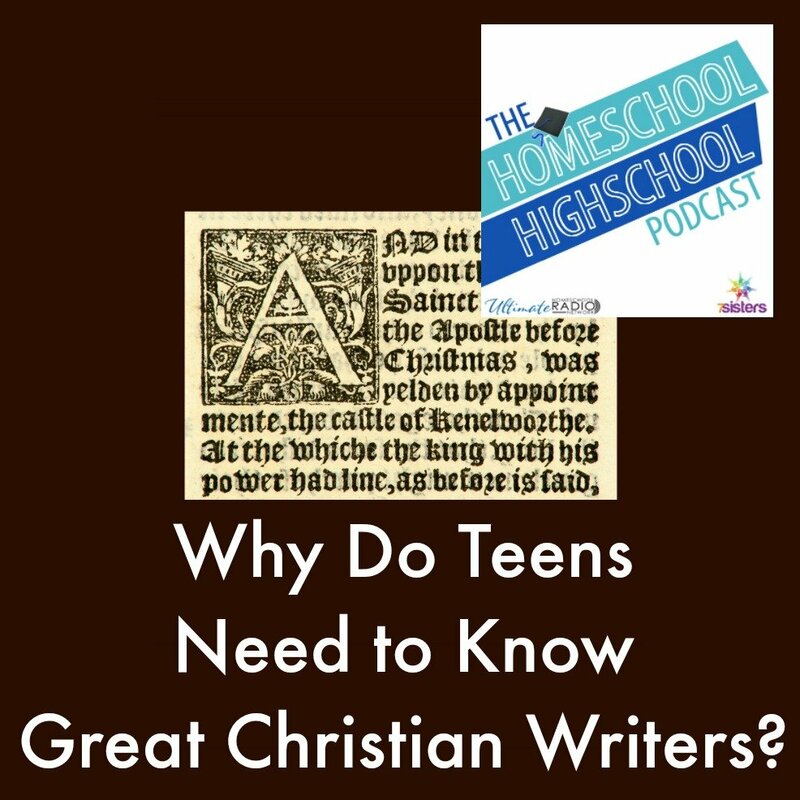 Episode 48: Why Do Teens Need to Know Great Christian Writers? Language Arts is required for graduation. Literature is part of the Language Arts credit. How can you make that Literature study meaningful for homeschool highschoolers? Here are some reasons to include great Christian writers. Why should all curriculum be dry and boring? Liven it up with movies! For real! (For reel?) 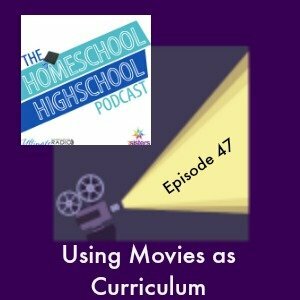 Join Sabrina and her son, Sam, for a lively discussion about the why’s and how’s of using movies as homeschool curriculum. How can you get highschooling done when life isn’t cooperating? How do you handle life’s interruptions and struggles when your teens need education? Join Sabrina, Vicki and Kym for a fun but honest conversation. Homeschool highschoolers will be adults before you know it! What adulting skills can you teach and capture on the transcript? 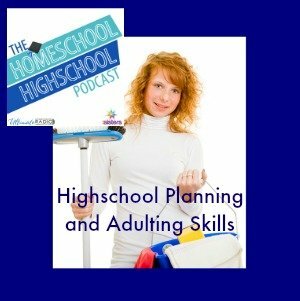 Join Sabrina, Vicki and Kym for a fun and informative conversation on adulting skills for homeschool highschool. 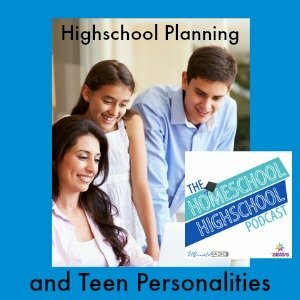 Why should teens be part of homeschool highschool planning? What are the risks and benefits of making them part of the process? Join Sabrina, Vicki and Kym for a fun, honest and helpful conversation. So many different personalites! Each teen is different so how do you leverage that difference to plan a great highschool experience. Join Sabrina, Vicki and Kym for practical and fun how-to’s. 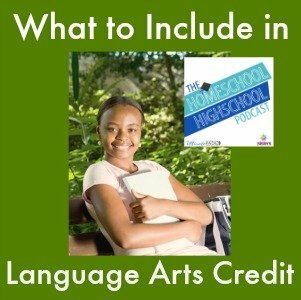 What does your teen need for a powerful transcript and meaningful highschool experience? Join Kym, Vicki and Sabrina for the details. 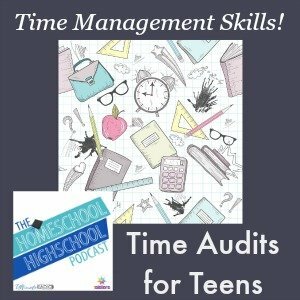 Episode 41: Time Audits for Teens- What and Why? Time management is one of the most important life skills a teen can learn. How do you teach a teen to manage her time? Start with time audits! Join Sabrina, Vicki and Kym for ways to teach time auditing to teens (and adults). Tired of your New Years Resolutions. Let’s re-do! Here are some fresh ideas about fresh starts. Join Kym, Sabrina and Vicki for some alternatives to resolutions. What is Christlike character? How do you help your teens develop Christlike character? Join Vicki, Kym and Sabrina for a lively discussion about character development for teens (and adults). Empower your homeschool highschoolers with some basic social networking skills that will raise their confidence levels. 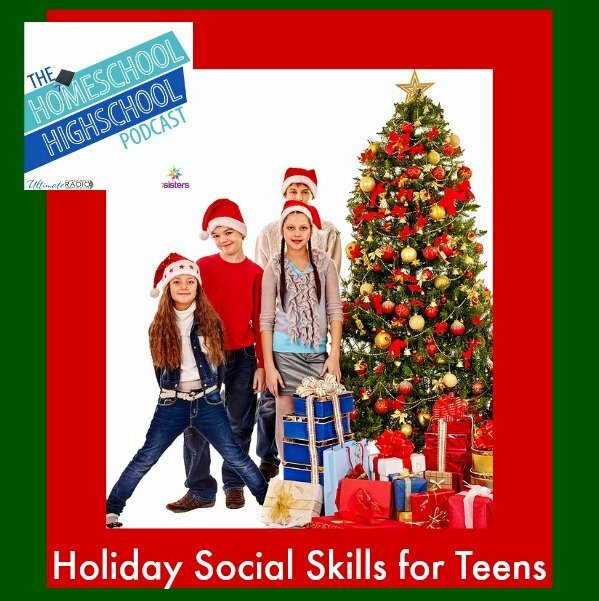 Social skills will help them with all the holiday get-togethers as well as prepare them for life after graduation. Sometimes the holiday season is downright wonderful! You don’t want to interrupt the joyful activities with too much textbook work. 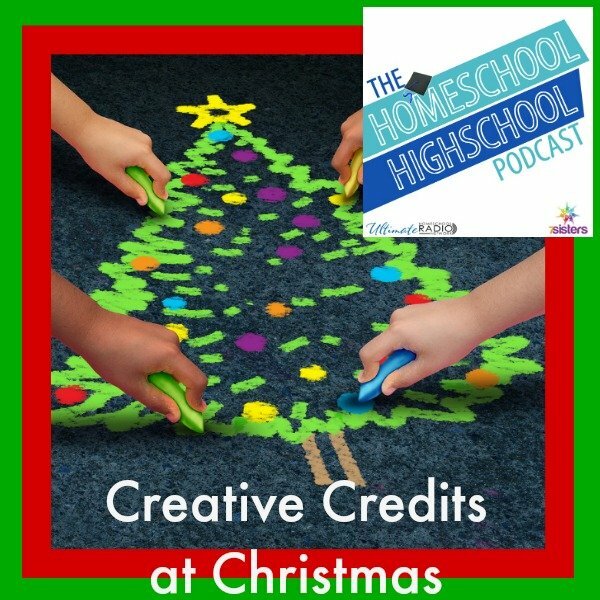 Here are some creative ways to log credit hours creatively at Christmas! Some years are difficult for families: loss, illness, setbacks, broken dreams. How do you help your teens handle the hard times- especially at Christmas? For teens who are intellectually gifted, there are unique needs and musts for their homeschool highschool years. 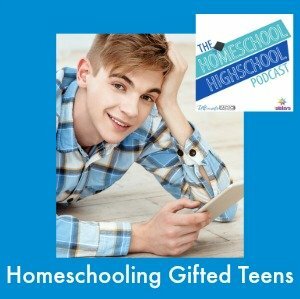 Join Kym and Sabrina for an inspiring interview with Dr. Barb Varnell, who homeschooled her gifted teens through graduation. Her 3 homeschoolers have gone on to exciting and successful college experiences. Holidays can be magical…but really, most of the time they are also stressful. 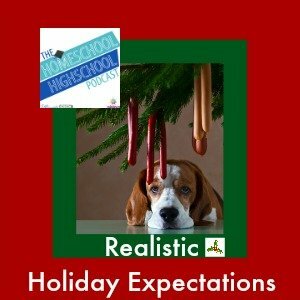 Join Vicki, Sabrina and Kym for a chat about REALISTIC holiday expectations. Episode 33: What Testing? Why Testing? 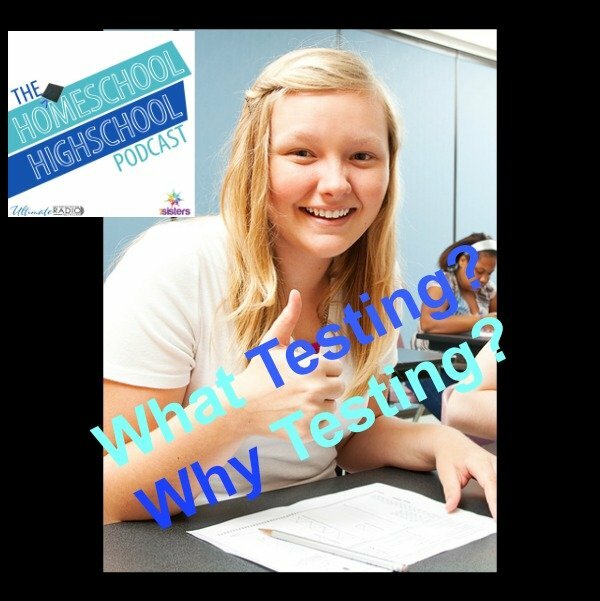 Should your teen test? Must they take the SATs or ACTs? What other tests do you and your homeschool highschooler need to consider? Join Vicki and Kym for an honest discussion. There are lots of options for earning highschool credit for the homeschool transcript. Join Vicki and Sabrina for 5 ways to earn credits! Teens need to learn how to be leaders (they will lead something sometime, believe me) and how to be followers (bad followers=bad teams). Join Kym and Vicki for tips! What needs to be included for a terrific transcript? Join Kym, Sabrina and Vicki for ideas! How do moms keep sharp while homeschooling their kids? How do they keep balance of teaching and learning? Join Kym, Sabrina and Vicki for ideas! 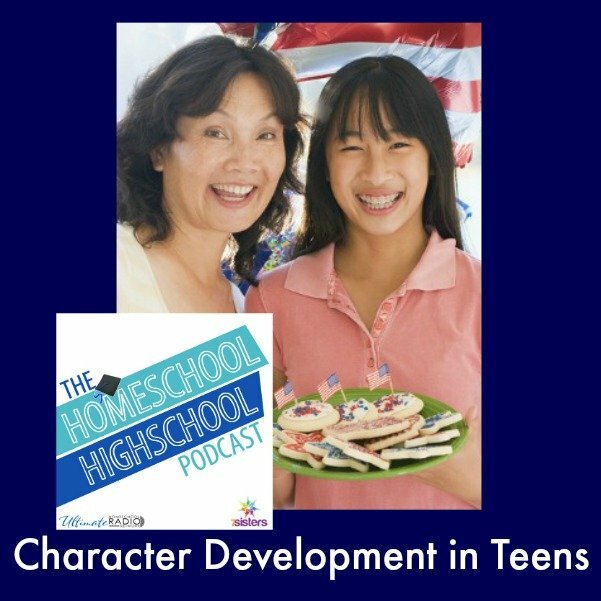 What is character development in teens? How do you develop it? Or maybe how do they develop it? Join Kym, Sabrina and Vicki for ideas. Episode 27: What Are Social Sciences? 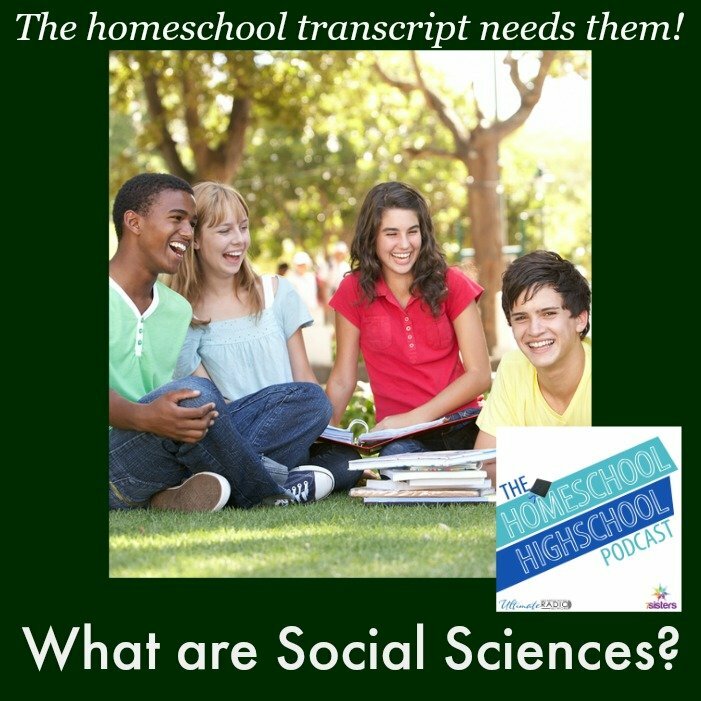 Many colleges these days are asking for Social Sciences on the homeschool transcript. What are the Social Sciences? How do you earn Social Sciences credit. Join Kym, Vicki and Sabrina for some great ideas. How do you know what your teens need to cover for highschool writing? How much should they cover? Join Sabrina, Vicki and Kym this week for highschool writing requirements! They’ll let you know! Some teens love to read but some can’t stand it! Some moms love to read and some would rather spend their time on something else. How do you adapt literature so that highschoolers (and their supervising parents) are getting what they need to graduate well? Join Vicki, Sabrina and Kym for helpful tips! 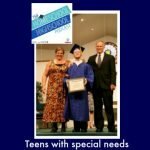 Homeschooling teens with special needs is a wonderful option for highschool. Join us for an interview with Patty Tillman, who homeschooled her special son all the way to graduation. She shares tips, resources, what worked and what didn’t. Career Exploration is an important life preparation course! 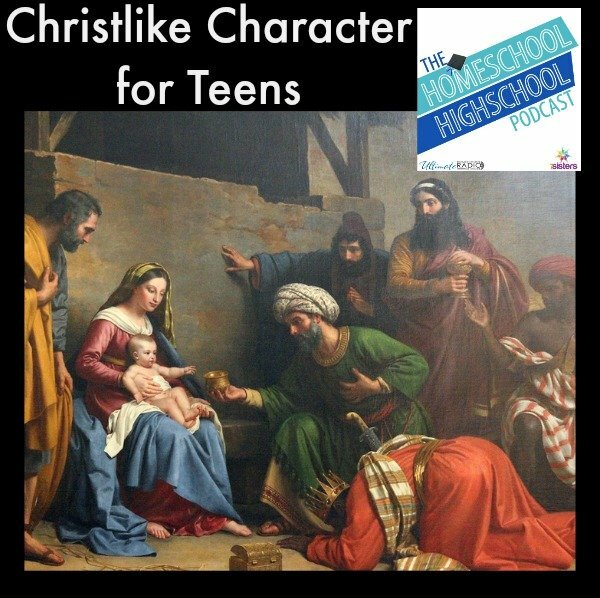 Don’t miss this episode of the Homeschool Highschool Podcast. 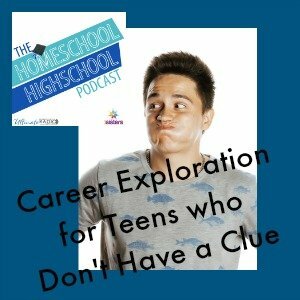 Vicki and Kym share what to include in highschool Career Exploration and how to include it! There’s not just one kind of highschool history student, so there’s not just one kind of highschool history credit. 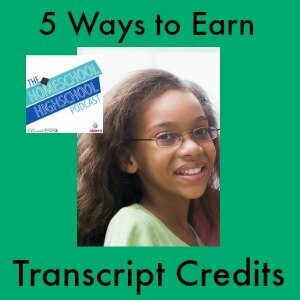 Join Vicki, Sabrina, and Kym for a discussion of 5 ways to earn those credits for the transcripts. 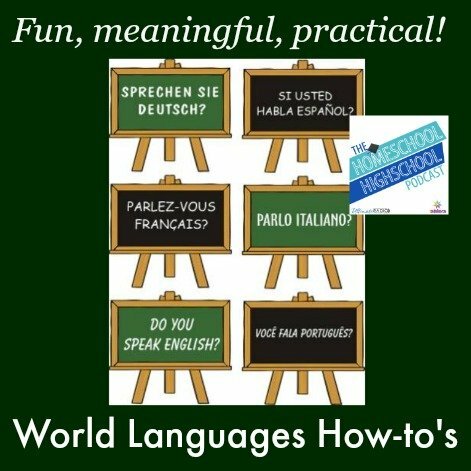 Earning those World Language credits for the homeschool transcript can be fun and meaningful. Join Sabrina, Vicki and Kym for lots of how-to’s for World Languages. We’ll talk about finding a good-fit curriculum, breaking up the boredom with fun, and making World Languages meaningful. Join us for an interview with Vicki’s son, Ezra. 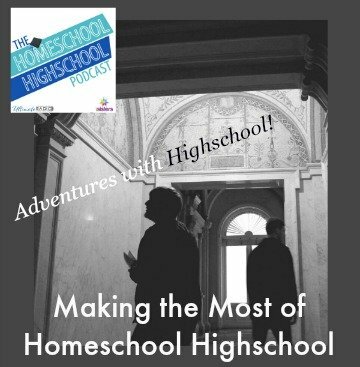 We’ll be talking about how to make the most of homeschool highschool years for college and career preparation! Episode 19: Drama- The GOOD Kind! Sabrina’s 16th annual homeschool drama camp is underway. Kym and Vicki set up Yeti, the microphone and pay a visit. 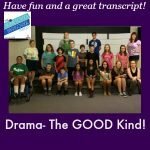 We interview staff and students and tell WHY you need some drama on the homeschool transcript (the GOOD kind). Colleges usually want to know the level of academic rigor for highschool courses. 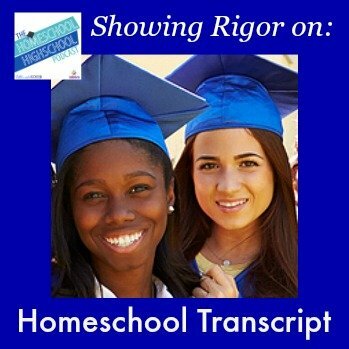 Join Vicki and Sabrina for tips on how to show rigor on the homeschool transcript! Epic moments shared by all 6 of the 7 Sisters: fun or flopped! Join us for ideas and inspiration! What happens to teens who have interests and abilities that won’t benefit from going to college? 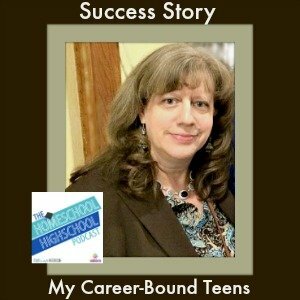 Join Sabrina and Vicki for an interview with Angela O’Shaughnessy about her sons who graduated from homeschool highschool and are enjoying success in the career field. Language Arts may be a monster credit but you can still have fun with it! You can customize Language arts to meet your teens needs, interests and abilities. 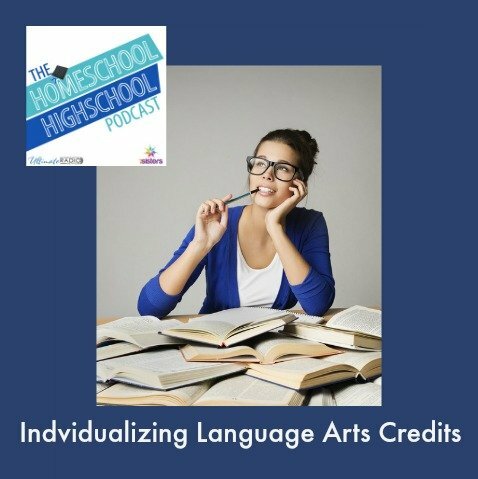 Join Sabrina and Vicki for tips on making the Language Arts credits the right fit for your homeschool highschoolers! Episode 14: Readers Theater Party: It’s COOL! Homeschool Highschool needs to have lots of fun! 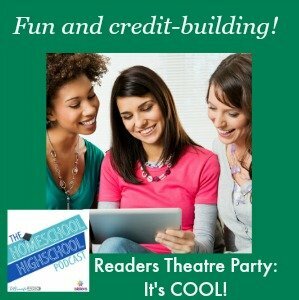 Here’s a cool, fun way to build the Language Arts credit and help your teens LOVE learning: Readers Theater Parties. Sabrina and Vicki share tips on how to create these wonderful, easy events! Highschool Language Arts covers SO many things- books, writing, vocabulary, grammar, speaking… How do you know if you are covering everything? Join Sabrina and Vicki for information, ideas and encouragement. Not all kids are called to go to college. Some have gifts that require other kinds of training. 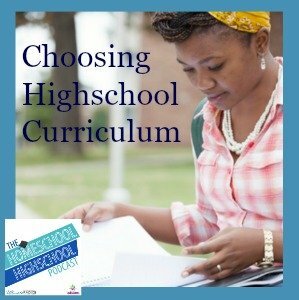 How should you handle highschool if college is not an option? Join Vicki and Sabrina for ideas to help! Starting off your homeschool highschool years? Want to create the best years yet? How do you set goals for academic, personal and character development? 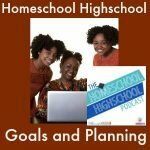 Join Vicki and Sabrina as they discuss the what, why and how of homeschool highschool goal setting. 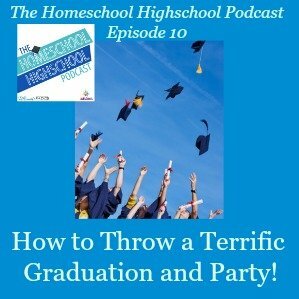 Episode 10: Throwing a Terrific Graduation Ceremony and Party! All the nail-biting and good times of homeschool highschool is almost finished! NOW it is finally time to plan that homeschool graduation ceremony AND graduation party. 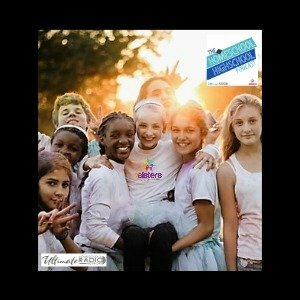 Join Vicki, Sabrina, and Kym as they share 7Sister Allison’s tips on how to make it a TERRIFIC time! What will happen if your teen bombs the SATs, totally screws up his research paper, or makes a stupid decision? When does a good parent rescue her teens? If he blows something, does it mean you’re a bad homeschool mom? Join Sabrina, Vicki, and Kym for an encouraging and realistic chat. There are many kinds of homeschool highschoolers so there’s not just ONE type of homeschooling highschool. SO how do you choose curriculum? Join Sabrina and Vicki for tips on finding good curriculum for your teens! Join Sabrina, Vicki and Kym as they discuss the how’s and why’s of recording service on the homeschool transcript. What on earth do you need to include on the homeschool highschool transcript? Join Sabrina and Vicki as they discuss what needs to be recorded for a great transcript. Have fun and get the information you need on Transcript Basics. Every high schooler must complete the core courses for graduation: Language Arts, Maths, Social Studies, Sciences, World Languages. To some extent, all transcripts look the same in those areas. So how do you help your homeschool high schooler earn a STAND-OUT transcript? By knowing the secret: Electives and extracurriculars give homeschool transcripts sparkle! They show who your teens truly are, they highlight strengths and interests. Join Sabrina, Vicki and 7Sisters Kym as they share ways to sparkle up your homeschool transcripts with electives and extracurriculars. 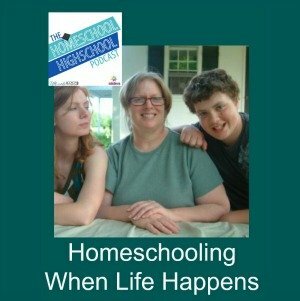 In Episode 4 of the Homeschool Highschool Podcast, Vicki interviews Seth and Caroline. Both are homeschool graduates who have gone onto college. 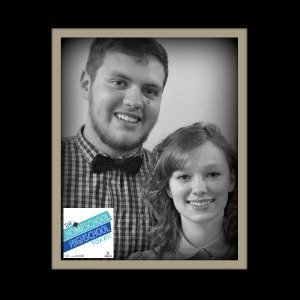 They share what they REALLY think about their homeschool highschool experiences: What was good and what was not! Episode 1: Welcome! 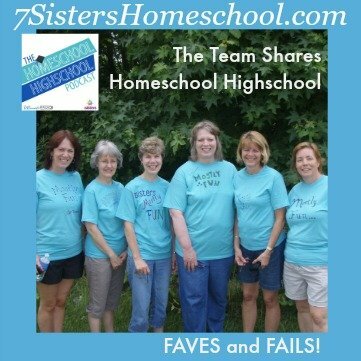 Who Are the 7Sisters and How Can They Help You Homeschool Highschool? 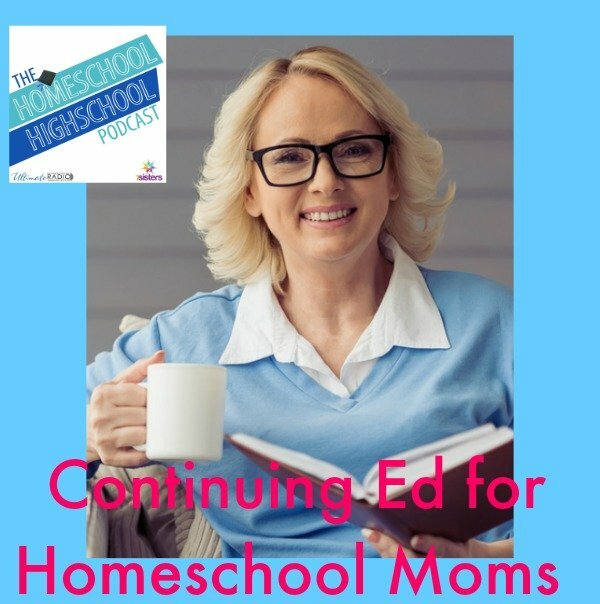 In episode 1 of the Homeschool Highschool Podcast, Sabrina & Vicki of 7sisterhomeschool.com help connect you with homeschool highschool success. Let them be your big sisters as they share why homeschooling highschool years are the best years yet! AND how the 7Sisters at 7SistersHomeschool.com can help those great years happen!